Relations between India and Pakistan have taken a sharp turn for the worse. 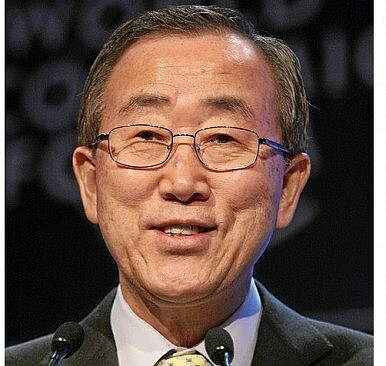 United Nations Secretary-General Ban Ki-moon called on India and Pakistan to focus on resolving their differences peacefully via dialogue. “The Secretary-General calls on both sides to solve the issues peacefully and through dialogue,” Ban’s spokesperson noted in response to questions on the U.N.’s stance on the collapse of talks between India and Pakistan. Ban’s statement came a week after New Delhi canceled talks with Islamabad following a trip by the Pakistani High Commissioner to India to meet with Kashmir-based separatists. Tensions have risen between the two countries after a relative period of warm relations following the inauguration of Indian Prime Minister Narendra Modi in May this year. There is no indication that the U.N. is looking to involve itself in India-Pakistan relations at this time. Prior to the increase in ceasefire violations and the collapse of talks between the two sides, Indian Prime Minister Narendra Modi traveled to Kashmir where he delivered a set of inflammatory remarks condemning Pakistan. He slammed what he described as Pakistan’s “proxy war” against India, adding that Pakistan “has lost the strength to fight a conventional war, but continues to engage in the proxy war of terrorism.” The recent increase in Pakistani ceasefire violations could have been precipitated in part by these comments, which indicated that Modi was perhaps less serious about pursuing peace with Pakistan than he let on when he met Pakistani Prime Minister Nawaz Sharif in May. Also, given Pakistan’s ongoing domestic political crisis, the Pakistani military is somewhat emboldened and could be seizing the opportunity to ramp up tensions with India. Pakistan has violated the ceasefire along the LoC 23 times in August alone. Additionally, Pakistani forces have attempted over 90 infiltration attempts into India in 2014. India’s response so far to the increase in Pakistani ceasefire violations has been fairly restrained, but the BJP-led government in New Delhi is under some pressure from its supporters to meet Pakistani aggression in kind. Indian Defense Minister Arun Jaitley told the press in New Delhi that the Indian response has been strong and effective.